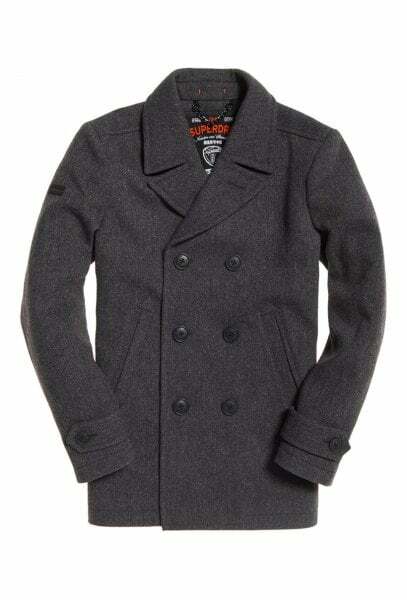 Superdry men's Merchant pea coat. 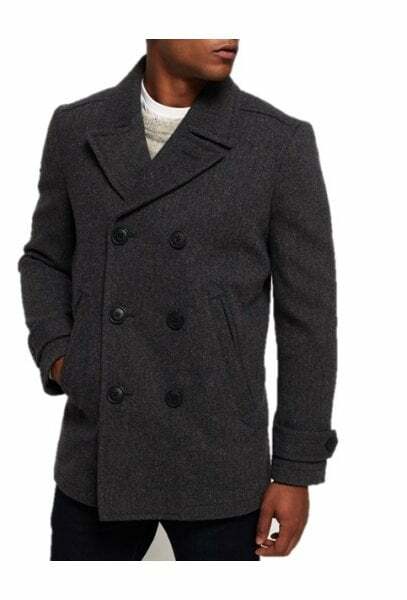 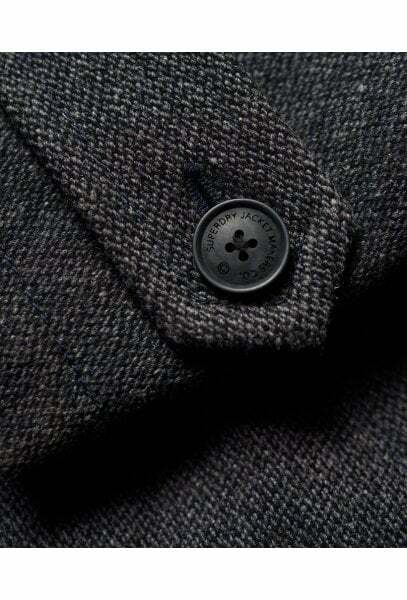 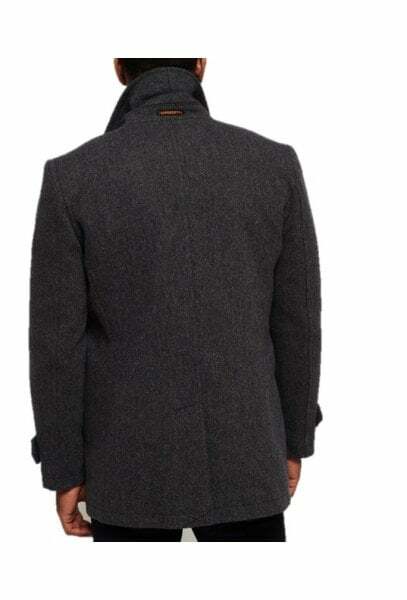 This pea coat features a double-breasted button fastening, two front pockets and one inside pocket with a button closure. 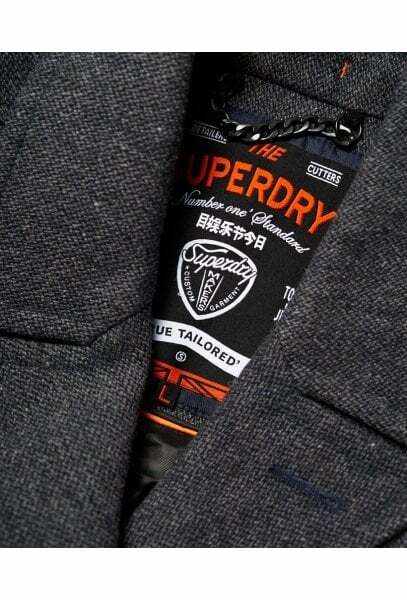 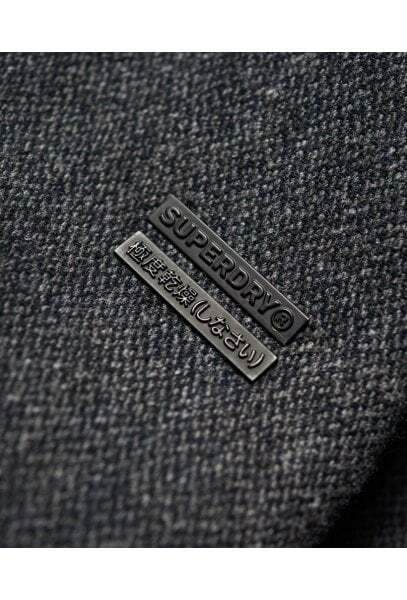 The Merchant pea coat is finished with button cuffs and Superdry logo metal badges on the sleeve.